Bony is based in Sales Verification’s new near-shore call center, located in Barranquilla, Colombia, and has responsibility over all inbound customer inquiries for the Executive Energy Management brands. She has a bachelor’s degree in Business Administration and a graduate degree in Management and Sports Administration. She’s been working in the call center industry since 2005, gaining valuable experience in operations, customer service, sales, tech support, budget management and in building strategic relationships with US clients. Jacqueline came to Sales Verification Company in 2010 and has served in a variety of leadership roles. As Site Director of SVC’s primary location in Largo, Fla., she maintains primary responsibility for all production, training, account management and HR functions, ensuring communication between departments to meet internal key metrics and fulfillment of client needs and expectations. Prior to joining the Sales Verification Company in April 2010, Jacqueline was Director of Quality for Consumer Energy Services. Melissa’s primary role is to match incoming call volume to a prepared and available staff of verification representatives. She continually tracks key metrics such as hold times and verification percentages to ensure client targets are met. Melissa began her career at The Sales Verification Company in August 2010 as a third party verification representative. 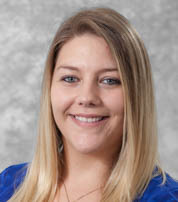 She has also served as a Data Analyst in the Quality Control Department, Administrative Assistant and Account Manager. Jason is an accomplished entrepreneur and technology enthusiast with over 18 years of C-Level experience in the tech sector. He and his team are developers of TPV Ninja, a ground-breaking interface for the in-person sales verification industry. TPV Ninja is marketed exclusively by Sales Verification Company. 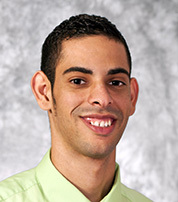 Jason has been nominated three times for Tampa Bay Technology Forum’s Rising Star Award and Up-and-Comers Award. He serves on the Board of Directors for the Tampa Bay Academy of Design & Technology and the Clearwater IT Advisory Board. Jason has as long history of taking lead roles for the companies with which he’s worked. He came to Sales Verification Company in 2013 and served in a variety of quality assurance and supervisory roles prior to being named an Account Manager in 2015. He acts as our clients advocate and project manager within the company to ensure our clients are getting the best service possible. He maintains responsibility for all client campaigns and production, ensuring communication between the Sales Verification Company and our client and sees that key performance metrics are fulfilled based on client needs and expectations.